Thank You For Visiting Anderson And Moopen Orthodontics! Anderson and Moopen Orthodontics has the specialized equipment, facility and staff to properly address today's most demanding orthodontic needs, in a warm and caring environment. Our goal is to provide you with the highest standard of treatment and an enjoyable experience. Start by completing our quick, online appointment request form. Unlike some large practices where the patient rarely sees the doctor, our office is quite different. Dr. Anderson and Dr. Moopen routinely see every patient at every visit. 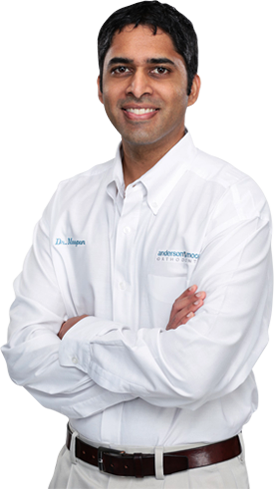 Click through to learn more about Dr. Anderson, Dr. Moopen, or our staff.